Israeli opposition leader turns down meeting with Jeremy Corbyn during upcoming visit to London amid tensions over anti-Semitism. 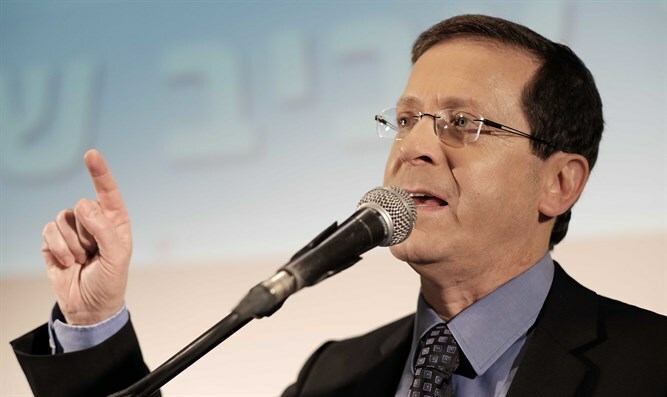 Israeli opposition leader MK Yitzhak Herzog turned down a meeting with British Labour leader Jeremy Corbyn during his upcoming visit to London, after Corbyn originally requested face-to-face talks, the British Jewish News reported Wednesday. According to the report, a spokesman for the UK Labour leader had confirmed on Tuesday a meeting would take place when his Israeli counterpart visits the UK later this month for the UK-Israel Shared Strategic Challenges Conference. On Wednesday, however, Corbyn’s office told the Jewish News that it has been informed in the past 24 hours that Herzog is unable to find time in his schedule to meet Corbyn during this short trip. The incident is the latest in a row between the Israeli and British Labour parties which began after dozens British Labour members were suspended over anti-Semitic statements. Herzog wrote to Corbyn earlier this year to invite him to lead a delegation to Yad Vashem in Jerusalem, following the suspension of Ken Livingstone and Naz Shah from the Labour party following their own anti-Semitic statements. Livingstone was suspended after saying Adolf Hitler supported Zionism. Shah sparked controversy when she insisted that Arab rock-throwing was not to blame for the death of Israeli children, and later also came under fire for a series of comments on social media prior to her election as MP calling for the ethnic cleansing of Jews from Israel. Corbyn had initially not replied to Herzog’s letter at all, but later asked his deputy Tom Watson or party General Secretary Ian McNicol to look at making the trip “on my behalf” because of diary commitments “in the immediate” future.